I’ve recently been playing the demo for the Men of War (which, after running through it several times, is now sitting atop my “will buy when not skint” list) and I keep being reminded of Silent Storm– particularly as I found myself scrambling for an option to switch off the voices almost as fast as back in 2003. The option is sadly missing, for the cut scenes at least, but this is only a minor setback- this is a strategy game after all, and poor voice acting is hardly crippling. 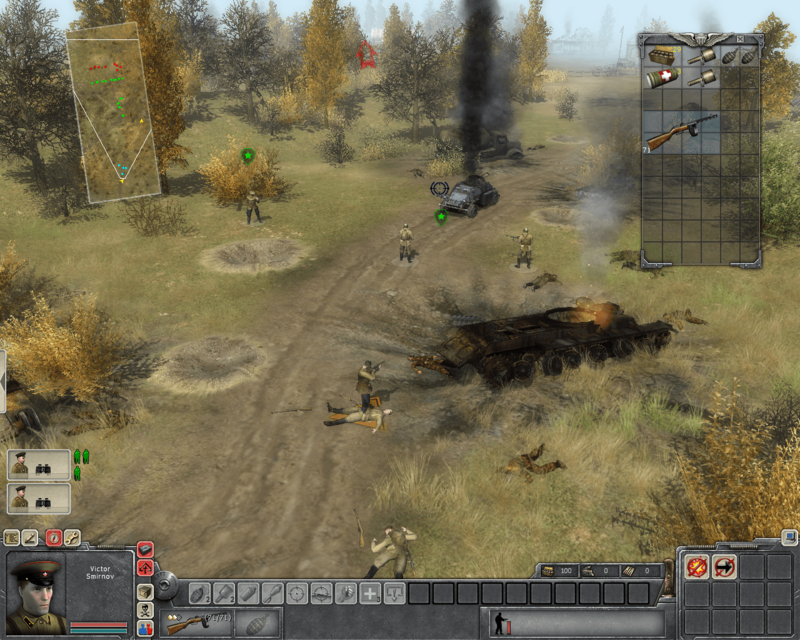 Silent Storm is a slightly obscure, turn-based strategy affair, and puts you in control of a small, elite group of soldiers working for either the Allies, or the Axis during World War Two. 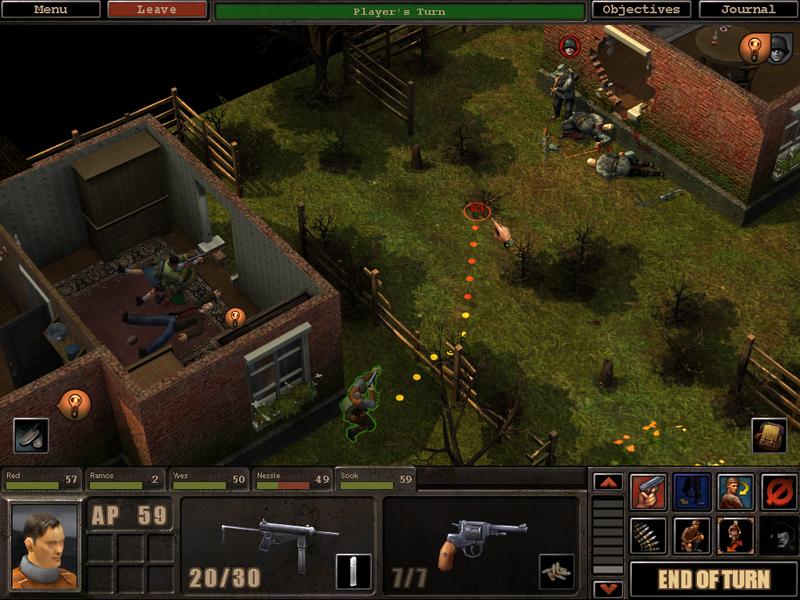 In the vein of the ancient classic X-Com, every soldier has a limited amount of Action points to move, shoot, etc, as you clear the map of enemies/complete objectives; but enough about mechanics, the great feature that Silent Strom and Men of War both share is destructible terrain. All it takes is fully destructible terrain, mixed in with a physic engine (and some high explosives), and suddenly every level becomes the scene for spectacular acts of chaos as bullets slice through brickwork and tanks casually roll through light buildings. It creates those moments that stay with you- like the time a bullet went wide of a Nazi skull, only to punch through a garage door and detonating the large gas tank within, taking out half of a three storey building, or when a perfect shot from a sniper rifle takes out an enemy soldier and throws the body through a first floor window.There are also the tactical implications to consider, with the battlefield evolving, as chunks of it disappear in a shower of shrapnel and debris. Men of War requires the same amount of micromanagemnet, with the need to manage the stances, positions, and even inventories of your little soldiers, but in real-time, which can make be a bit much at times- especially as your men are fleshy bags of meat that only last a few seconds under direct fire. Conveniently, they aren’t always going to just stand there and take the bullets, and will run for available cover. It’s one of those nice little touches that made me think how bizarre it is that this kind of behaviour hasn’t been the standard in RTS games for years, but alas. Looting is another aspect they both share, but it appears to be more important to your success in Men of War. Lulls in the fighting are a good chance to scour the battlefield for more ammunition, or even new guns or helmets. It’s difficult to judge how necessary this will always be in the full game, but in the demo scenario it was an absolute necessity to gather up ammunition to keep my infantry firing. Silent Storm does have one rather glaring flaw in comparison to Men of War, though: No tanks. Fair enough, it had the “Panzerklien” mecha-suits and laser cannons- although, as much as they are a nice twist on the default World War Two setting, their appearance is also the moment where the balance in Silent Storm tips over, as these new weapons are far more powerful than anything else in your arsenal- but even they weren’t as satisfying as simply driving through a house full of Nazis.